A couple of questions come to mind about Aireon. Second, will there be any data co-ordination with the FAA such that a single installation will be good worldwide? It seems to me that should be an easy solution. One can always dream. I believe Aireon is a private tracking system. Your GPS position is uploaded through the Iridium communication sats. The flight-aware "network" they reference, are local ground receivers listening for ADS-B data as airplanes flyover, In fact, flight aware is looking for people with internet access to put these receivers at their house. If they need a receiver in your area they have a deal where you get free access to their paid services. Flightaware is starting to track all traffic with ads-b including VFR traffic. In years past, it was only IFR traffic. I had a conversation with Nav Canada ATC people in May and they already have a demo screen provided by Aireon right next to their radar screens, and they are already tracking 1090es ADSB-OUT traffic. My takeaway from the conversation is that NavCanada people are drooling to get the Aeron system. If Nav Canada adopts the Aeron system, it won't be cheap. And it will not replace the existing radars, because ATC still needs to pick up targets of gliders, baloons and NORDO airplanes. I am planning to replace my KT76A transponder for a Garmin GTX 335 soon. So I will be future proof for any future ads-b mandate in Canada and compliant with the U.S. 2020 mandate. I'll use the Foreflight Sentry for ADSB-IN. 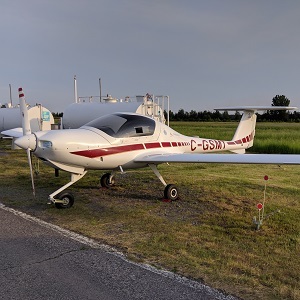 I would have preferred a Stratus ESG, but the avionics guys I talked to around here are familiar with Garmin and are reluctant to install anything else. First of all, Only the U.S. UAT 878MHZ frequency with ground based stations broadcast weather and traffic. You don't get that with 1090es, so we won't get weather or traffic from Aeron. Ever. Because of the bandwith limitations of 1090es apparently. So on the UAT frequency you get the traffic that the ATC radar picked up rebroadcast to you, and with 1090ES you only get the 1090ES traffic that your ADSB-IN solution captures from picking up the ait-to-air signals from nearby airplanes with 1090ES transponders. The deal about needing to put an antenna on top of the airplane is likely overblown. One factor, of course, is that our planes are composite and generally don't mask the signals as much as a aluminum bird. But also, we think of the satellites as being "overhead". It is rarely the case. More commonly there are satellites at various positions much lower in the sky. And for geostationary orbits these are (for us) typically quite low on the horizon, particularly in northern latitudes (such as Canada). Rich wrote: our planes are composite and generally don't mask the signals as much as a aluminum bird. Very true. Since my DA20 has a VFR non WAAS gps which I am not replacing, I need a new WAAS GPS antenna installed for the Garmin GTX 335 transponder. I am hoping to put this antenna hidden somewhere inside the airplane and not having to get Diamond engineers to charge me for the approval of drilling holes through the composite to install an external antenna. Whatever your "Out" solution, your "In" solution should be dual-band if you fly in North America. Remember that many US-registered planes will be (indeed, already are) broadcasting ADS-B position via 978UAT OR 1090ES only. Both of these types of traffic will be visible to your "In" solution independent of the presence or absence of the US TIS/FIS-B ground stations at any given point if it's dual-band. Agreed, but fortunately the "in" solution does not have to be a certified solution. FlightAware has a good explanation of Aireon on their website. Says Nav Canada (and other) is contracted with Aireon to obtain primary surveillance data. I learned something this week that might be useful on this topic. Some transponders have "diversity" meaning that they use two antennas, top and bottom. The GTX 345R does not have diversity, but this person was speculating that the next generation of Garmin transponders might have it, in which case a one size fits all ADS-B solution will be available for C registrations. More cost for the antennas, sure, but compliant in all environments. I am in the Edmonton FIR, which is the first FIR to go live with Aireon. I pick up ADS-B targets on my Stratux inside the CYEG control zone. I am curious to see what I get once the whole region goes live. The satellite-based approach is pretty cool. But I question the need for "diversity". This has been available for many years, primarily to improved the signal to TCAS systems. The idea, of course, is the signal from a belly-mounted antenna (standard position for transponders for as long as there have been transponders) is blocked by the airframe. But I don't know if this a real problem. I can't recall a 1090ES target disappearing from my display because it passed below me. Of course, I'm maybe a couple of thousand feet above, not thousands of miles. Anyhow, I could see a diversity requirement requiring yet another upgrade at some future date.